Notes from KK: To readers of this Newsletter. Patrick Cheung requires little introduction. He was the founder and driver of Dialogue in the Dark HK and a founding Director of Hong Kong Social Entrepreneurship Forum. Enriched and emboldened by the success of DiD, Patrick is now embarking on a new social venture – the Jade Club – an innovative social enterprise that promises to completely transform the elderly care service in Hong Kong, and ultimately the Greater China region. Since when does longevity become a curse rather than a blessing? When children are showered with resources and treated like kings and queens, while elderly receive icy indifference. Some may argue that governments across countries have poured abundant funding on improving elderly welfare. Nevertheless, the heavily subsidized services, while well-intentioned, fall short to meet the huge demand posed by the escalating ageing population. Unable to compete with the low price of the subsidized market, self-financed businesses have no room to survive. The challenge posed by market failure is particularly severe in Hong Kong’s elderly day care centre and at-home service arenas. To avoid the high cost of price distortion, the Japanese government has turned ageing from a problem into an opportunity in solving its high unemployment rate. Since the Long-term Care Insurance Law took effect on 1 April 2000, elderly care has grown at an unprecedented speed. Within 10 years, the number of nursery homes multiplied to 3,400, elderly day care centres increased from a trivial number to 40,000. With job vacancies becoming widely available, thousands of young jobseekers were drawn to the industry. Across the country there are now over 400 vocational schools providing professional training to caregivers. The blooming of the elderly care industry has contributed substantially to Japan’s GDP and consequently played a significant role in improving the nation’s economy. Amazingly, keen competition among service providers has led to world-best care service for Japanese senior citizens. Having said that, it does not mean private investment is the magic potion to solve the shortage in elderly service. Taking reference of China’s experience in educational and medical reforms, even though supplies had increased, privatization was doomed to fail because public dissatisfaction grew when seeing the doctor and going to school had gone outside their price range. To create a model of elderly care affordable for all, community participation is a must. We need organisations that receive wide support from the people of the community and possess the ability to carry out the policies of the government for the well-being of the elderly. Most of all, such organisations should be financially self-sustainable. In short, successful elderly care should have the ability to engage business, government and community. Such ability stems from genuine passion, which is the foundation of meticulously thoughtful care service. Mission-driven social enterprise or social business which strives to balance cost and income may be closet in nature. Nowadays, elderly service no longer means merely satisfying basic physical needs. 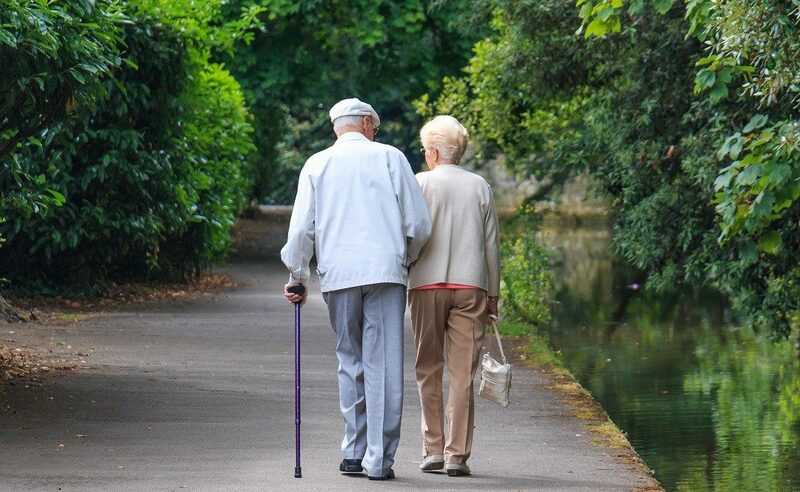 On the one hand, in 2002, the United Nations has set security, health and participation as the three pillars for active ageing and quality life for elderly people. On the other hand, the digital era has heralded the revolutionary growth of telehealth technology. Biometric data could be transmitted instantly to doctors and speedy diagnosis will follow. With improved communication and constant monitoring, patients could save on tedious visits to clinics and doctors’ time could be well-spent on treating more complicated illnesses. Another gerontological concept receiving much support is “ageing in place”, which means being able to grow old in one’s own familiar setting. Even the Mainland government is proposing what it calls the “90-7-3 plan”, which means 90 percent of the senior citizens will be cared for at home, while 7 percent make occasional visits to a community centre and only 3 percent live in nursing homes. To fulfill this goal, it is inevitable that day care centre space be expanded. Looking at the situation in Hong Kong, even though the government has long crowned “ageing in place” as its policy goal, insufficient government funding and hard environment for business to survive have significantly limited the supply of elderly care services. Less than 7,000 out of over 900,000 senior citizens in Hong Kong are fortunate enough to enjoy day care service. Meal delivery and house cleaning service reach no more than 20,000 elderly. The responsibility, as a result, falls on the shoulders of foreign domestic helpers, who may not have the professional training to address the diverse healthcare needs of elderly. When the health of the elderly parents deteriorates to the point where even housemaids cannot care for them, the family have no choice but to send their beloved ones to private nursing homes. As the amount of social security benefits provided by the government is way below the level required for purchasing high quality service in the private sector, it is unlikely to find pleasant living conditions in private residential caring homes. It is said that the mental and physical health of the elderly residents tend to aggravate quickly after moving into low-quality nursing homes. A veteran social worker once told me that many families see sending their elderly parents to residential care as a funeral in disguise. Even so, the demand for elderly nursing homes remains high: 6.8 percent of elderly population are living in institutional care, this is much higher than the global average of 3-4 percent. To establish a high-quality, affordable and self-sustainable community and at-home elderly care service through civil participation, technological revolutions and innovative operation models. I have no clue on how this could be achieved, but I knew that I have to pour my soul out for this cause and learn by doing. Since then I have been to Japan three times to visit various kinds of elderly organisations. Even though I have no experience and no background in this field, I have received loads of help, whether in translations, setting up meetings or connecting me with industry professionals. My quest has also taken me to France, Spain, England, Singapore and Taiwan to learn how governments of different cultures approach the issue of ageing. Through the journeys I found that across the world the focus of elderly service is shifting away from institutional to community care. All kinds of innovative elderly service, brand-new concepts of senior living, mobile medical service and at-home healthcare have thrived in recent years, enabling singleton elderly to access care service with convenience. Many governments are giving back the right for seniors to choose and decide for themselves what service they prefer. Governments take on the role of supervising the quality of the service providers; substandard ones will be disqualified. Certainly I also had the pleasure of learning from many professionals in Hong Kong’s elderly care industry, learning the strength of the service provided by non-government organisations, and gaining insight into the challenges encountered by self-financed community care providers. My quest eventually reaches the ears of Francis Ngai, Founder and CEO of Social Ventures Hong Kong, who has brewed the idea of building an elderly day care centre two years ago and shares similar beliefs with me. In March 2012, the two of us paid a visit to Japan to learn from the business model of Sawa Honpo, a listed company that offers community-based, small-scale day care service based on a franchise system. Since its founding in 2006, 600 centres have been established, and the number is expected to reach 3,000 by 2015. Later in the same month, Sawa Honpo confirmed that it will be a minor shareholder, and would share with us its business model and strategy for reference. Many of our targeted individuals and organisations also expressed interest in making investments. The company names The Jade Club is set to be launched. How exciting it is to step on the path of this visionary movement! There will always be challenges and obstacles, but we will learn from the mistakes and strive hard for the well-being of billions of elderly in the Greater China region. I dream that all elderly care organisations would be social enterprises that are sustainable with profits, centred on the welfare of elderly and committed to the happiness of their staff. I may be an idealist, but to meet the pressing need, we would need cross-disciplinary collaborations, innovative approach and the active participation of many passionate supporters. I hope you could be one too.